With Eduard's new 1/72 MiG-15 just a month or so away from its release, I received an exciting email this morning from Radek Vavřina of R.V. Aircraft, the same guy that brought us the very nice series of MiG-23s in 1/72nd scale. 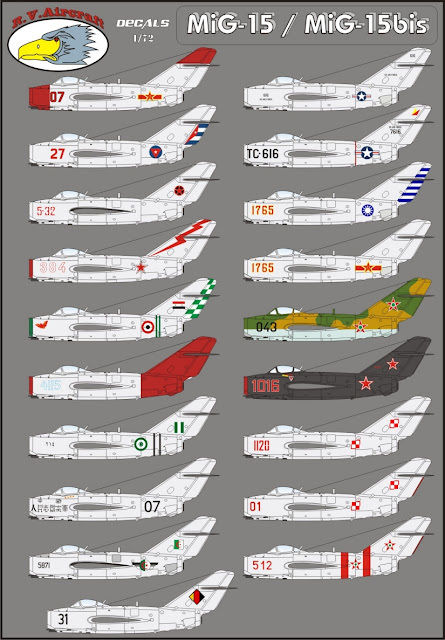 Among his list of September releases are two new sheets of decals for the MiG-15. Radek provides some very interesting options, including an unusual all-black airplane, for a total of almost 36 aircraft! 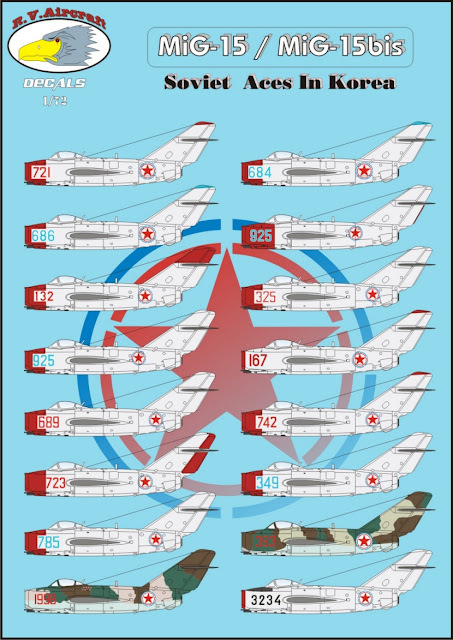 Look for pictures of Eduard's MiG-15 on their Facebook page (and maybe on their web site by the time you read this).